LUXURY HYDE PARK CONDO LIVING! 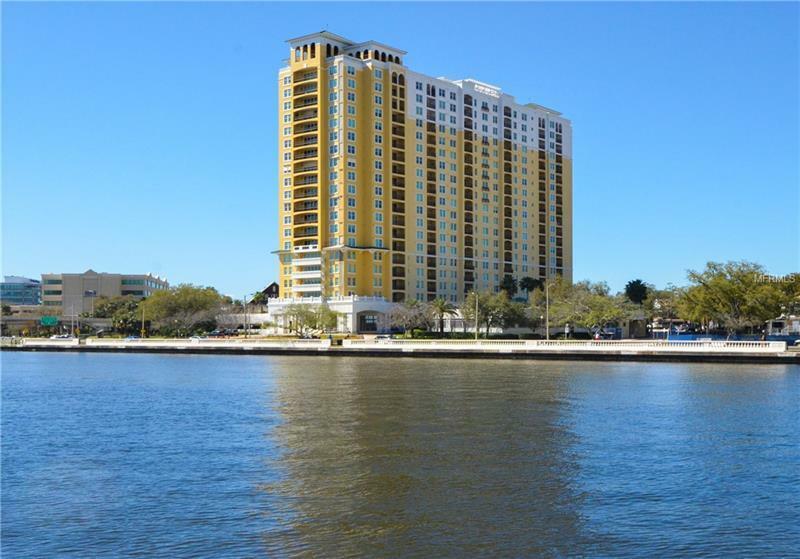 Elegant And Iconic 345 Bayshore Condominium! This open floor plan 2-bedroom 2-bathroom 1240 sq. ft. 14th floor corner condo with water city and sunset views includes 2 deeded parking spaces (one of which is in the garage) and a separate deeded storage unit. Enjoy the convenience of living walking distance to Hyde Park Downtown Davis Island Channelside Amalie Arena and the emerging Water Street district. Custom marble tile floors throughout and Brazilian walnut hardwood in both bedrooms. Custom cabinets in the kitchen granite counter tops special external vented hood upgraded 48" double stainless steel sink with draining rack. The master bedroom has two picture windows located on the corner of the building with water sunset views and city views. Both bathrooms have marble floors and marble counter tops. The master bathroom has a walk-in shower & a separate over sized garden tub. The guest bathroom has a tub/shower combination. Side by side washer and dryer in a 5â x 7â laundry closet. 11â x 7â covered balcony with a new floor covering. Amenities include: 24/7 security & concierge 2 fitness centers 2 saunas (men & womenâs) newly renovated pool with heated spa gas grill stations business center library room conference room and clubroom with a wet bar & TV. There are 2 guest suites and a pet walk. HOA services include flood insurance building insurance on-site management water sewer trash pest control & exterior window washing twice a year.